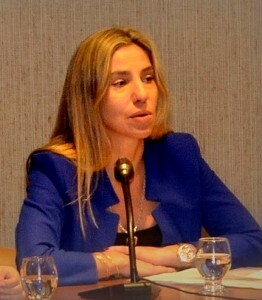 María Alejandra Costa Prieto is the Director of the Human Rights Department in Uruguay’s Ministry of Foreign Affairs and currently serves as her country’s Focal Point in the Latin American Network for Genocide and Mass Atrocity Prevention. Ms. Costa is also an alumna of the 2015 Global Raphael Lemkin Seminar for Genocide Prevention, held in Poland. What has brought you to work in the field of genocide and mass atrocity prevention? History has shown us that conflict situations are hotbeds that enable the commission of international crimes, such as those defined by the Rome Statute of the International Criminal Court. In a world where these crimes share a common denominator, direct attacks on the civilian population and the violation of the norms of international humanitarian law, the possibility of committing these crimes multiplies. Facing this outlook has naturally led me to work that enhances measures of prevention in these situations, even more so after having received training from the Auschwitz Institute, and I have learned that genocide and mass atrocities are not events that arise spontaneously and, more importantly, that they can be prevented. I believe that work in prevention is multidimensional, but that fundamental elements exist that can make a difference in the long run: equal access to education for all people; education in the equality of laws, which can surpass differences in history, culture, territory, and ethnicity; as well as equal access to a minimum standard of quality of life and the independent functioning of the justice system. Belonging to an initiative, which, in the short run, has achieved international recognition. The Network acts as a flexible mechanism with little overhead and without bureaucratic structures, that makes use of modern technologies and cultivates, through its Secretariat, constant communication between the member states in a fluid, transparent, and committed way. In addition, I personally feel as though I am succeeding in relation to the final objective of the Network, which is permeating from within the national structure, approaching more participants and committing to other actors, in the sense that belonging to the Latin American Network transcends my current role as Focal Point. I would assure him or her that the difference that can be made by one vigilant and prepared person in the development of the processes of genocide or a mass atrocity can make the difference between the loss of a life or even the loss of a community.